Wired Productions have shown off a new trailer and some screenshots for Grip. 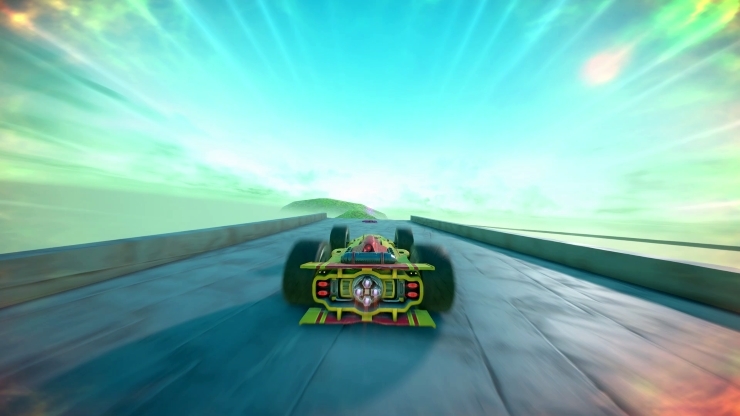 Featured above, the new trailer shows off the “Carkour” mode in the futuristic combat racing game. 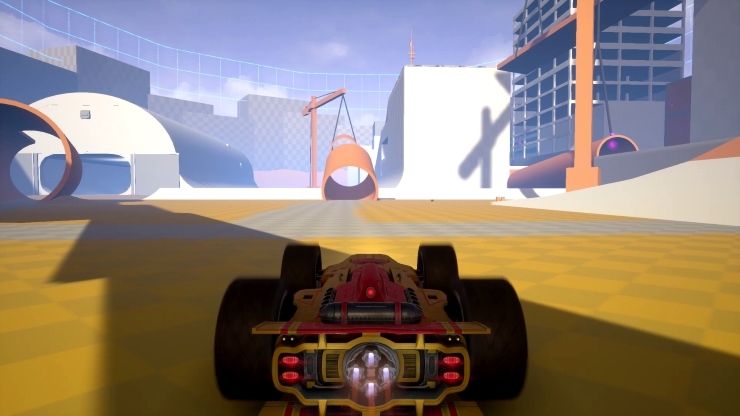 Releasing in fall 2018, GRIP will feature, among other modes, 19 challenging ‘Carkour’ maps in which players are challenged to master a series of increasingly mind-bending stunt courses. Eighteen maps are Point-to-Point, culminating in a final, ‘open’ map – a playground of jumps, twist and turns packed full of collectibles. 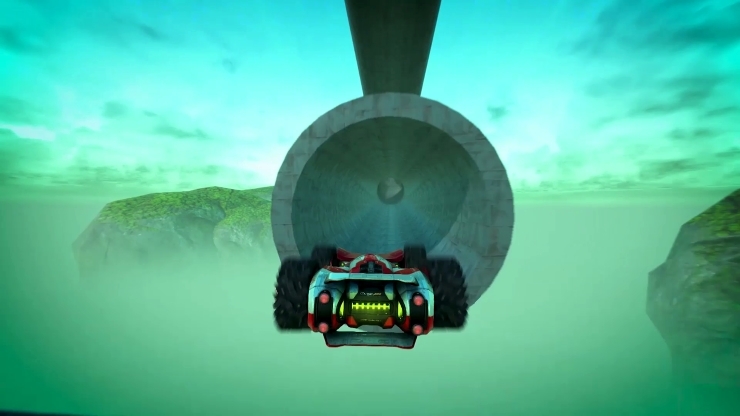 From the short, sharp, shock of the Easy (Airtime, Speed, Squiggly, Tubes, Upsy Downsy) and Normal (Live Jump, Scoops, Slide) courses to the more demanding Hard (Angles, Endurance, Rainbow Road) and Nightmare (Half Tubes, Loop Gap) runs, there’s something to challenge everyone irrespective of skill level. Carkour Mode is the perfect tonic for those looking to concentrate on fine-tuning their timing, speed, and spatial awareness before heading back into Campaign or multi-player modes. Taking full advantage of the current generation of gaming hardware, GRIP accelerates ahead of the racing crowd by offering players speeds of over 767 mph – making it the fastest racing game on four wheels, across roads, ceilings and anything else players can land their tires on to. The game will benefit from the enhanced power behind the PlayStation 4 Pro and Xbox One X, delivering eye-pleasing visuals with spectacular in-game physics and harnessing the potential that comes from building with Unreal® Engine 4. 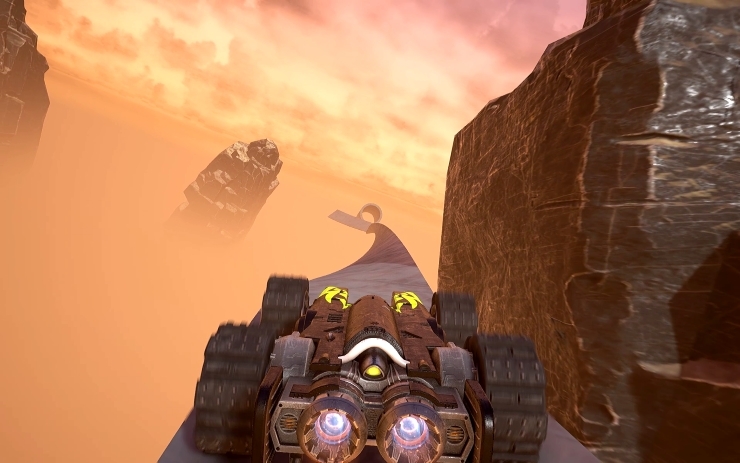 GRIP will see racers speeding their way around 22 breath-taking tracks across a variety of hostile and foreign worlds. Remaining focused on the task at hand, players must be merciless in their quest to cross the finish line; deploying an arsenal of 9 devastating weapons and power-ups to give them the advantage to take the lead against fierce competitors. From explosive darts, mines, and missiles to shields and turbos; these weapons will allow players to not only target other cars, but the environment surrounding them – blasting their way through structures or collapsing them unexpectedly onto unsuspecting opponents. 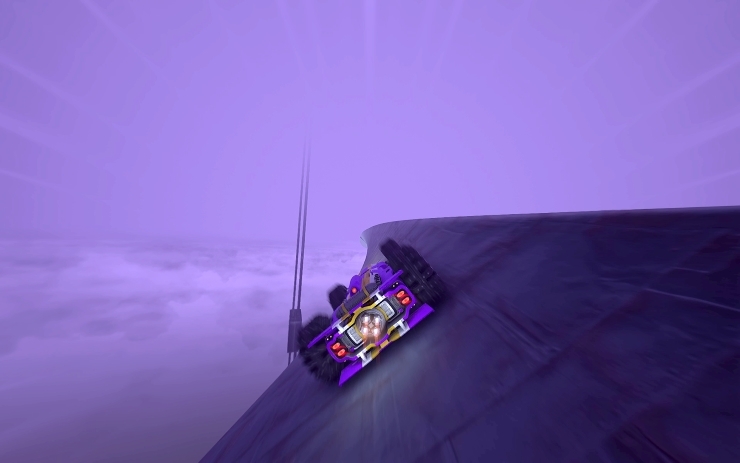 Racers can pick from a roster of 15 armored cars – some swift and agile, while others are brutish and heavily armored. Modifying further to suit their style, players can also customize each vehicle with an array of varied paint jobs, decals, wheels and other details. More information about the game’s cars, tracks, weapons and other modes – including single-player campaign and Arena – will be detailed by Wired Productions later this year. GRIP is heading to PlayStation 4, Switch, and Xbox One this Fall alongside its full Windows PC launch (it’s currently in Steam Early Access).